Strade Bianche 2016. On 5 and 6 March, Crete Senesi region, will host the Northern Classical further south in Europe. The Strade Bianche 2016 competition is now in its tenth edition for men and the second for women. Organized by RCS Sport / La Gazzetta dello Sport, Strade Bianche 2016 is among the most important and famous competitions all over the world. On Saturday, March 5 will be held the men and the women competition, who opened the new Women’s World Tour; on Sunday 6 will instead take place the Gran Fondo Strade Bianche. The three races start at Siena. 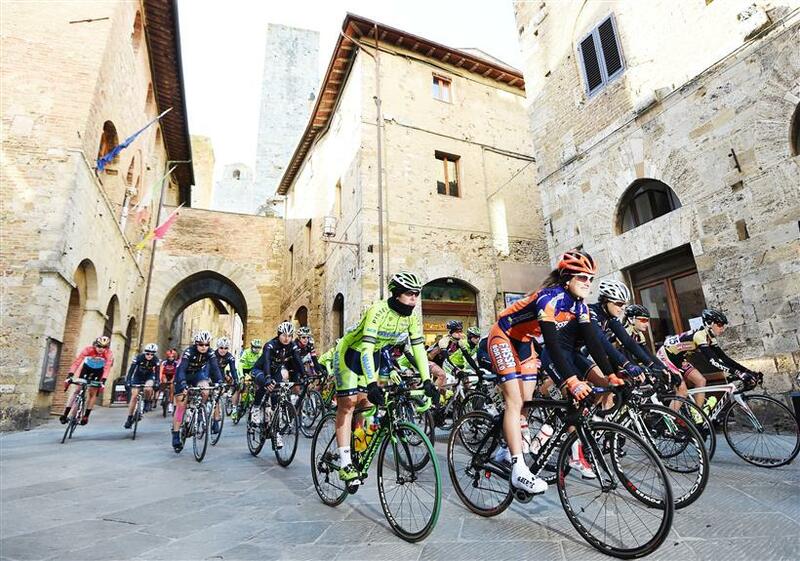 For the pros’ race is the first time that starts from the city: in previous years, in fact, the departure was from Gaiole in Chianti and San Gimignano. For men, women and amateurs, the starting point is from the Fortress in Siena and you will arrive in Piazza del Campo. The scenario is that of the Crete Senesi and Siena, UNESCO World Heritage site. Borgo Grondaie is waiting for this event of sport, culture and traditions!